ONCE UPON A TIME, Who doesn’t love these magical words and the world of stories. Why should stories be just for children? Relive the world of stories through Folktales from Kashmir to Kerala, Jodhpur to Itanagar. 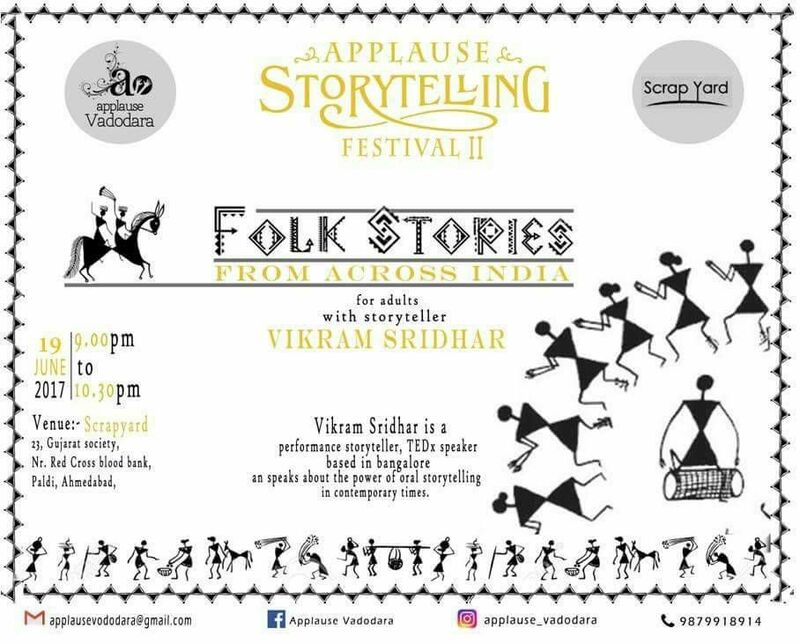 Travel the country and even the world through these carefully selected folktales for adults shared by Vikram Sridhar. Stories of Rajas and Ranis, cobras and tigers, trees and humans. Sit back, rejoice and enter into the world of just Oral stories.